Capturing the attention of customers has always proved difficult for businesses such as retailers, restaurants, hotels etc. For consumers a wide variety of choice usually means that businesses need to deliver their product and service offerings in a fashion that meets their needs. However delivering the right message and gaining access to the right customers poses three problems 1) cost of marketing communications 2) hard to measure ROI and 3) challenges to build long term loyalty. In addition mass generic marketing lacks an element of personalisation and true engagement with the customer. However with the advances in smart mobile phones and technologies such as Wifi, GPS etc. delivering your brand message and attracting your target audience is a reality. Now businesses can target customers based on location and communicate directly with them. This type of digital marketing is called Proximity Marketing. What is Proximity Marketing? ‘Proximity marketing can be defined as any system that utilises location technologies that communicate directly with the customer via portable devices’. In effect Proximity Marketing acts as a mechanism to bring the customer and brand closer together at the right time and in the right location. Therefore breaking the barriers to creating meaningful loyalty and value. Proximity marketing involves content consumption and delivery across digital channels such as Social Media, mobile, messenger apps via Wifi and GPS location services. For successful Proximity Marketing to work its important that each channel and campaign work seamlessly to offer the customer real value and target offers that can deliver higher conversions. Consumers are exposed to hundreds of digital marketing messages and visual stimuli daily. To capture the modern consumers attention can be challenging for digital marketers. Utilising proximity marketing can empower brands to offer and pre-empt customer purchasing behaviour by offering a personalised experience. From a retail point of view offering a personalised experience for the customer enhances their overall perception of the store or online shopping experience and help build long-term customer loyalty. Start by understanding your customers preferences and interests. Next target content or promotions that are specifically tailored for them. According to Greg Petro targeted offers through proximity marketing can lead to an increase in conversions. For most marketers this is the ultimate goal and how marketing performance is measured. Investment in marketing can be risky and true measurement in terms of ROI can be hard to quantify. Generating customer loyalty by offering a more value added experience through proximity marketing, is helping businesses and brands uncover potential revenue. From a customers perspective, it is vital to deliver clear and concise information in relation to your products or services. When looking for new products, promotions or shopping experiences, customers will research your value proposition. With proximity marketing and advancements in Digital Marketing you must create clear channels of delivering information that provides both value and help make their purchasing decision easier. Proximity marketing provides brands with an opportunity to create engagement with their core audience. Therefore utilising these insights will provide valuable information in terms of assessing the success of marketing campaigns, performance of promotions, shopping experience etc. This level of rich interaction helps build brand loyalty and develop customer relationship that delivers value in the long term. Continuous engagement through proximity marketing gives a brand the opportunity to position themselves with clarity and in a defined way in the minds of customers. This can be done through regular surveys, incentivised customer feedback schemes etc. Facebook through their advertising platform, realise the potential of offering more targeted offers based on location. Now brands can target customers in a specific addresses rather than by country or cities. To target customers in a specific location, brands can simply type in an address and target people at that specific location. 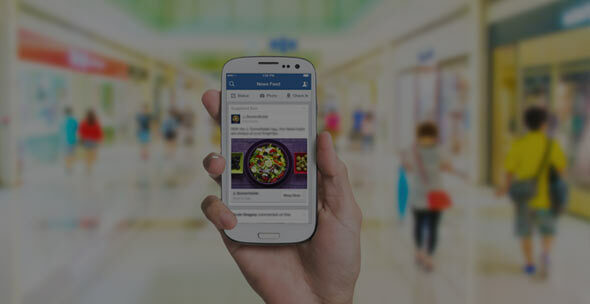 Help attract walk-in customers – whether you are food store, hotel, restaurant or a bakery you can target customers through Facebook advertisements and create promotions to attract in-store custom. Increase purchases through sales events – help stimulate purchases and increase footfall during specific events. Build loyalty – build in local pride and heritage to shape loyal fans or customers of your brand. While proximity marketing can be a powerful tool to implement. As a fully integrated part of your Digital Marketing strategy it can lead to an increase in overall sales. However caution must be exercised when it comes to proximity marketing campaigns in particular using Facebook Advanced Location Targeting. Be vigilant when creating campaigns that are not overly sales focused and offer content that is both personalised and adds value to the customers experience. For more information on how T2 can grow your business online please contact us at [email protected] or 059 9182329.